Experience the captivating pharaonic history and enjoy the fresh air and charming view of the Red Sea through an exciting tour to Cairo, Luxor and Hurghada. This tour is designed specially for handicapped or disabled travelers to explore the accessible impressive monuments. You will be met and assisted at Cairo International Airport, and transferred by an accessible private air-conditioned vehicle to Le Mereiden Pyramids Hotel, 05 star deluxe hotel, provided with the wheelchair rooms. Tomorrow, enjoy your holidays. Breakfast at your hotel in Cairo and then met by your personal guide who will accompany you to Giza Plateau to visit one of the seven wonders of the ancient world, the Great Pyramids of Cheops, Chefren and Mykerinus, famous Sphinx, varying between six-thousand and even thirteen-thousand years old ,and Valley temple facing the great statue. All places are wheelchair accessible. Lunch at a good quality restaurant. Then move onto the Egyptian Museum, well-paved place, where you can see the collection of Tutankhamen among other splendid pharaonic artifacts. Then transfer to your hotel. Overnight in Cairo. Free for leisure or optional trip to Alexandria to see Pompey's Pillar, a monument of the Roman Emperor Diocletian, and Qaitbay Citadel, built in the 15th century by Sultan Qaitbay on the spot of Alexandria’s ancient lighthouse. Lunch at a good quality restaurant. Proceed to see and move around the grand Montazah Palace, which combines Turkish and Florentine architectural styles. Overnight in Cairo. Breakfast, check out from your hotel in Cairo, then you will be transferred to Cairo Airport for a flight to Luxor where you will be met and assisted by our representative at the airport. Check in at Sheraton Luxor Hotel, 05 star deluxe hotel before driving to the west bank, to see the Valley of the Kings, the Temple of Queen Hatshepsut and the Colossi of Memnon. Overnight in Luxor. Visit the magnificent Karnak and Luxor Temples on the east bank. Overnight in Luxor. You will be transferred from Luxor to Hurghada on the Red Sea by an accessible modern air-conditioned vehicle (about 03 hours and half driving) where you will be moved to Marriott Resort Hurghada, 05 star deluxe hotel 05 star hotel for 03 nights. Transfer to Hurghada Airport for flight to Cairo. Enjoy browsing around the bazaars at the historic Khan El Khalili, where you can find a vast array of local hand made goods, perfumes and pharaonic-style jewelry. Then drive to Le Mereiden Pyramids Hotel. Overnight in Cairo. After breakfast, you will be transferred by an accessible modern van to Cairo International Airport for final departure. Meet & assist at Cairo International Airport upon arrival and departure. Accommodation in Cairo for 04 nights at Le Mereiden Pyramids Hotel 05 star deluxe hotel including breakfast and all taxes. Accommodation in Luxor for 02 nights at Sheraton Luxor Hotel, 05 star deluxe Hotel including breakfast and all taxes. Accommodation in Hurghada for 03 night at Marriott Hurghada Resort, 05 star deluxe hotel including breakfast and all taxes. 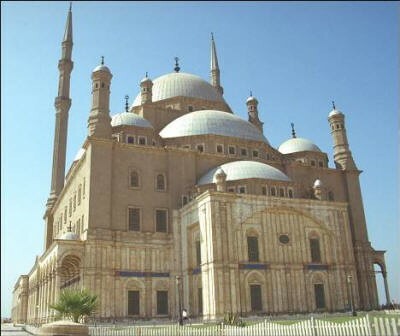 All Sightseeing Tours (private) in Cairo and Luxor. Mineral waterthrough out trip in Cairo and Giza. English Egyptologist guide through out your tours. All transfers by adapted air-conditioned vehicle. Free helper during your sightseeing tours at the historical places. Lunch during tours in Cairo and Luxor. Domestic flight (Cairo - Luxor - Hurghada - Cairo). Free mobile phone during stay in Egypt (Charged about 30 minutes local & 03 minutes International). Egypt entry visa, for non restricted nationalities you can buy it upon arrival before passport control. Visa Cost $ 15 = 11 Euro per person adult or child.